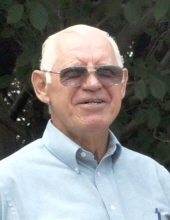 Harold William Nelson, age 74, of Littlestown, PA died Tuesday, January 8, 2019 at his home. Born May 24, 1944 in Frederick, he was the son of the late Clarence R. and Ellen Wolander Nelson. Harold was a 1962 graduate of Francis Scott Key High School. He worked as a farmer on the Nelson Dairy Farm, Union Bridge and then drove a truck for C.J. Miller and Premdor of Virginia. He enjoyed mowing lawns, building and fixing most anything for friends and family, and reading, especially the Bible. He was a member of Mt. Union Lutheran Church, near Union Bridge. Surviving are sisters, Carol Blubaugh of Westminster and Wanda Waugh and husband John of Lineboro, brothers, Marvin C. Nelson and wife Betty of New Windsor, Orval S. Nelson Sr. and wife Shirley of Valdosta, GA, George A. Nelson of Westminster and Elmer C. Nelson of Littlestown; sisters-in-law, Mae Nelson of Starke, FL and Linda Nelson of McKinstrys Mill, numerous nieces and nephews and very good friend, Dan Cooney of Stanley, VA. He was predeceased by brothers, Clayton, Irvin, Richard and Donald Nelson; sisters- in-law, Josie, Shirley and Marie Nelson and brother-in-law, Marden Blubaugh. A funeral service will be held at 10:00 a.m. Saturday, January 12 at Hartzler Funeral Home, 6 E. Broadway, Union Bridge, with Rev. Virgil Cain, pastor of Trinity Evangelical Lutheran Church, Smithsburg, officiating. Interment will follow in Mt. Union Cemetery. The family will receive friends at the funeral home, 5-8 p.m. Friday, January 11 and on Saturday, from 9:00 a.m. until service time. In lieu of flowers, memorial contributions may be made to Mt. Union Lutheran Church, 5000 Middleburg Rd., Taneytown, MD 21787. To send flowers or a remembrance gift to the family of Harold W. Nelson, please visit our Tribute Store. "Email Address" would like to share the life celebration of Harold W. Nelson. Click on the "link" to go to share a favorite memory or leave a condolence message for the family.